Landmark Flooring is a full service floorcovering dealer servicing Greater Vancouver and all around British Columbia. We are always adding and updating pictures and information our website so check back often, contact us today with your questions and Landmark Flooring will help gwt you started on your project. 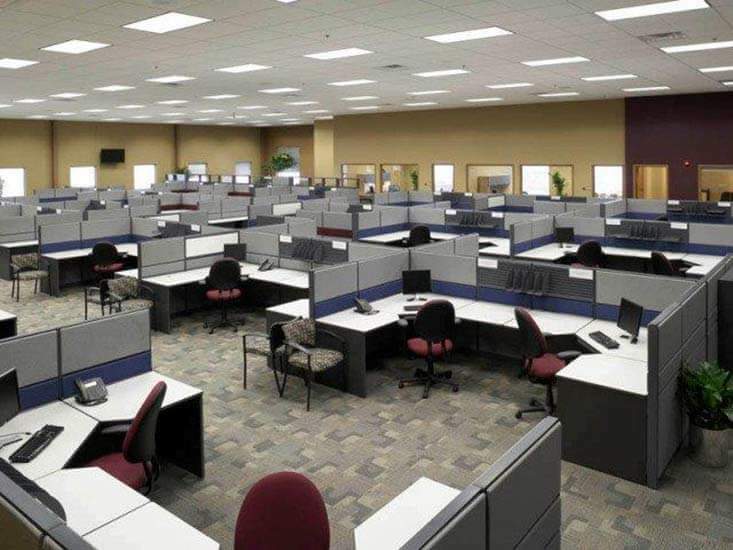 Our capabilities include but are not limited to repairs, small projects, occupied office carpet replacements utilizing our lift system equipment, vinyl including flash cove install method, large multi floor projects and any type in between. Utilizing our lift system equipment we have the skill and ability to replace flooring in occupied spaces. Desks, systems furniture and file cabinets can be manipulated within a space so dismantle of contents or emptying out a room is not required. Our metheods are the least dissruptive way to replace flooring. 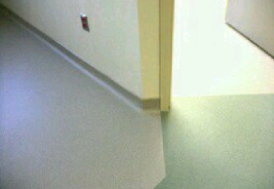 You will only know we were there by the new flooring. We can provide a demo in your office to show how this is the best way to give your office space a new fresh look. 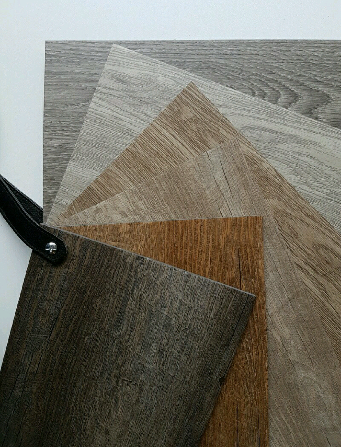 Vinyl plank is by far the number one seller in flooring today for both commercial and residential. Loose lay, click together and glue down each have their own benefits. We carry 4 different brands, some are so real looking you wont know its vinyl unless you touch it. Air quality and health are important at Landmark Flooring so we also let you know where each product is produced and whats in it! Its well know some vinyl manufacturers produce their product and hide the fact they contain toxics. We have nothing ro hide when it comes to air quailty. 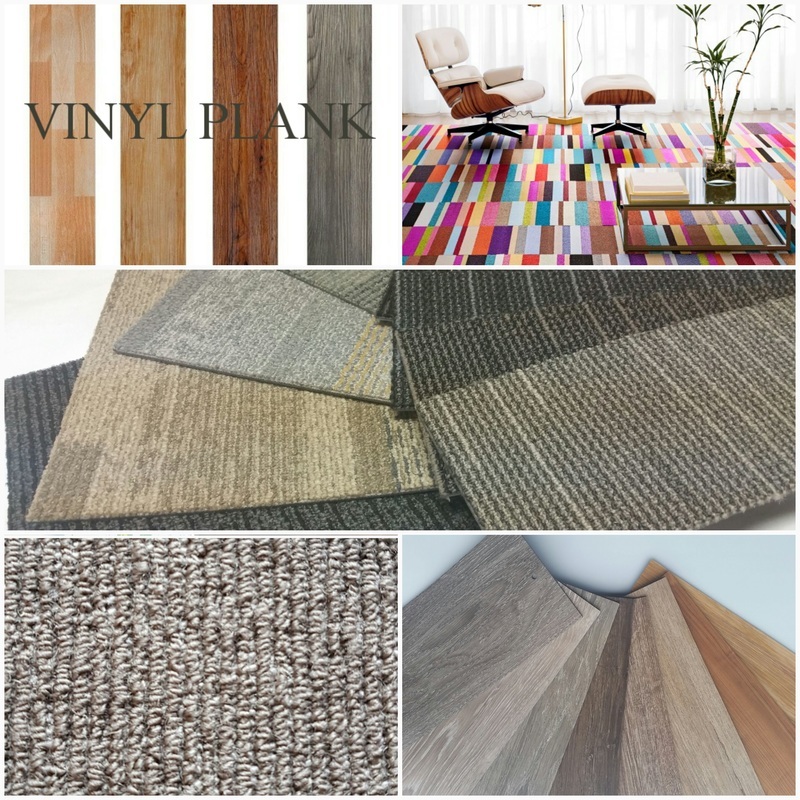 Dental offices, office staffrooms, waiting areas are jist some of the areas where vinyl plank will exceed your expectations. Third party studies have found the right entry mat will help reduce your facilities flooring maintenance up to 75%. From the basic scraper mats, custom logo mats made to match your brand, natural coco mats, we can help. Helping source the right carpet tile for your project. We bring the samples to you. Now available in numerous sizes and dozens of styles and colors we will help narrow down the search. rl44local stock product for immediate delivery. 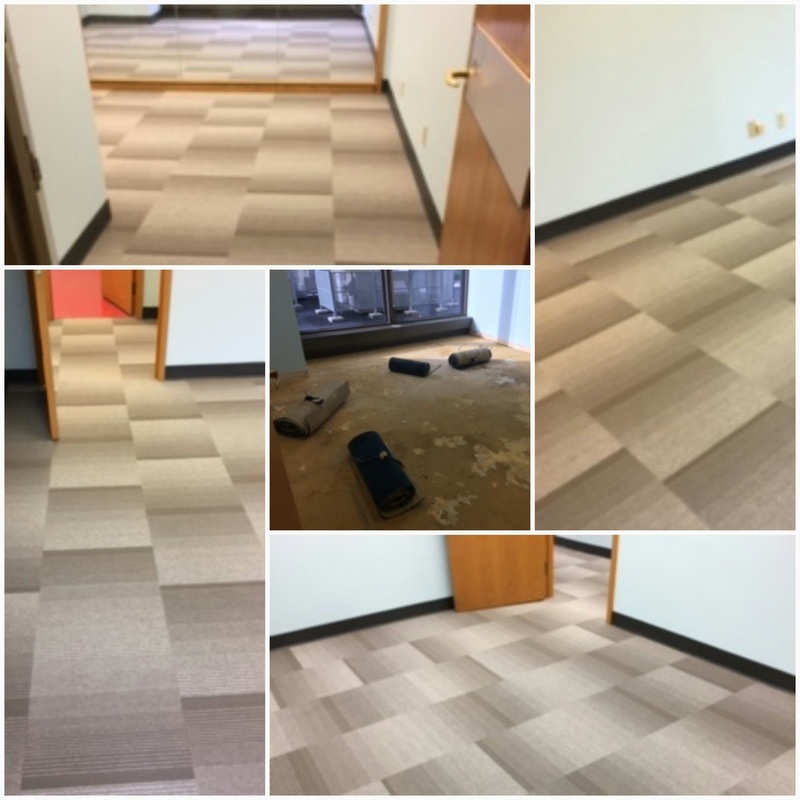 If your space is occupied we ​can utilize our lift system to remove and replace carpet tile with little dissruption to you and your staff. Resilient flooring installed flash-cove will create a bowl like area that is simple to maintain. Our installers are factory trained to work properly with each manufacturer. Heat welded seams, Insert Designs, flash-cove are all options we can explore to see what is best for your project. ​​Some projects need to happen quick. 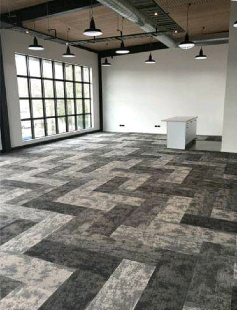 At Landmark Flooring we have a select range of carpet tile and vinyl flooringnto ensure these time sensitive projects get done on time while not comprimising quality. These first quality products are 'READY TO INSTALL'. Samples are available upon request. Click 'READY TO INSTALL' for images of recent jobs with these materials.